The story of how Miller & Miller Law, LLC, came to be a firm devoted to bankruptcy and financial recovery is a personal one. As lawyers who truly understand financial crisis, we recognize the struggles our clients face, as well as their need for immediate relief and long-term financial recovery. To speak with a bankruptcy attorney about your specific situation in a free initial consultation, contact Miller & Miller Law, LLC. Call (414) 326-9231. 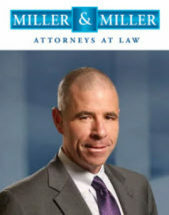 Building off this experience, Miller & Miller Law, LLC, has not only become an effective legal presence in the communities that make up Southeastern Wisconsin, but also developed strong, friendly relationships with the people we have served and continue to serve. A commitment to your strong financial future offering credit restoration and repair programs as part of every bankruptcy case. We want to help you reach a 720 credit score! Personal injury representation dedicated to holistic recovery: physical, mental and economic. Spanish language services. Se habla español.